We had the same idea tonight. Looks like you put a little more thought into your dividers. Mine just kinda worked out. I looked at the ones on amazon, and they cost $25 bucks, plus didn't allow for hanging folders, so spent about an hour measuring it out and used some scrap luan I had in the shop and sprayed it black to match. 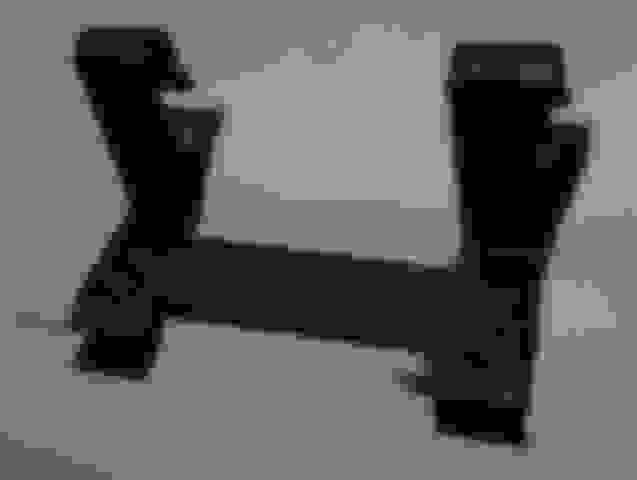 I plan to put it on the truck this Saturday, and after that, will do a full write-up when I have final installed pictures. Nice work, can't wait to compare our grilles installed on our trucks. So... Like chrome on the truck, but only certain chrome. 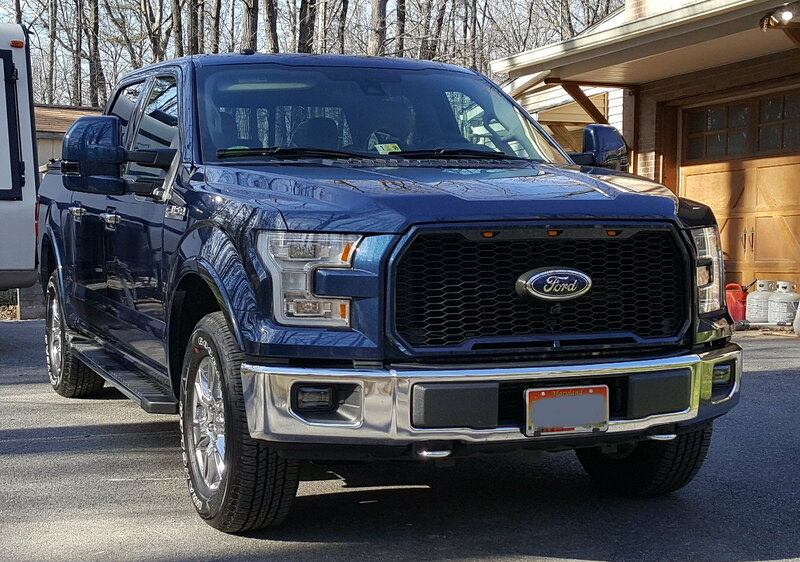 I like the bumpers and wheels chrome and f150 logo, but all the other little chrome bits, like the mirror caps and mirror turn signal lights, ecoboost emblem (a pain to wash/wax around), and the big honkin' chrome grille bars had to go. - used night-shades lens tint to darken the chrome highlit lights on the mirrors. - removed the ecoboost logo. I'm sorta debating remounting them right under the F150 emblem, but don't want it to get too busy (or make it too big a pain to wash/wax). Last edited by Opus-n-Bill; 04-10-2017 at 11:11 AM. Love those paint matched mirror caps. Did you have them painted or did you buy them? I got them from galaxymoto on ebay, and had them painted while they were painting the grill. When I ordered them, I thought I'd have to take apart the mirror to replace the existing skull cap. Instead, they just fit over the existing mirrors. Mixed feelings on that - it was easier to put on, and it covered the entire mirror, whereas replacement caps would have just replaced the chrome top. but they are just put on with 3m trim tape. I'm worried that water can get behind them and cause problems down the road. But I do think they look good. Nice work, liking that new grille. 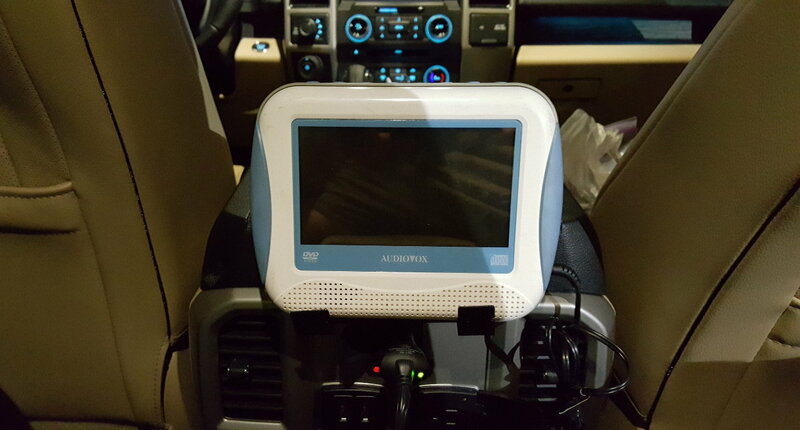 Simple mod to add a DVD player for the kids. 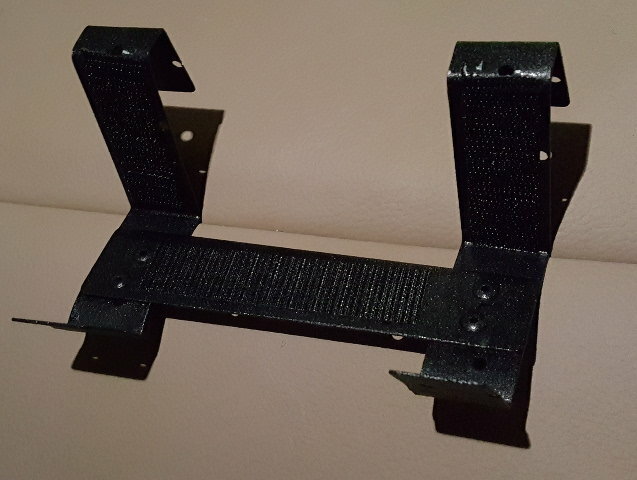 Bracket hooks onto the cup holders in the center console. 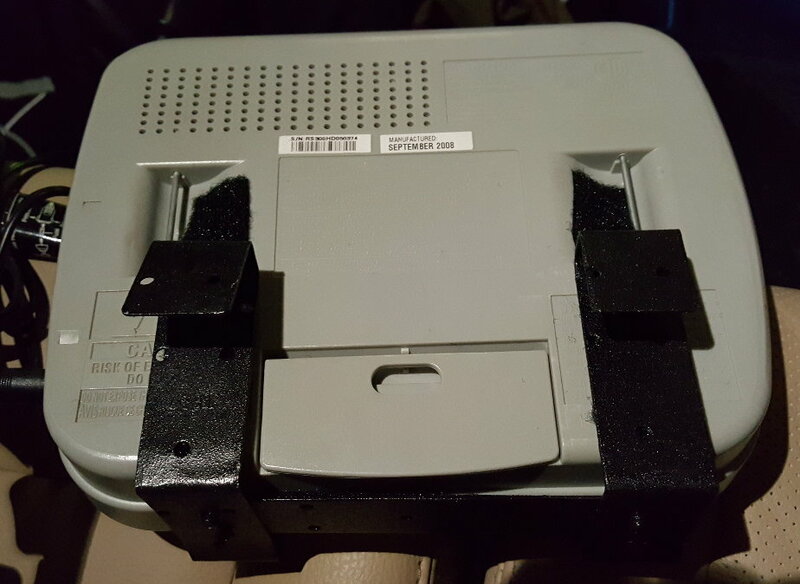 The back of the cup holders have a nice rectangular cutout that is perfect for holding the bracket without interfering with it's ability to hold a cup. When not in use, I can lift it off and store it in the storage bin under the back seat. The volume out of this little DVD player isn't much. I tried a couple of the bluetooth transmitter dongles to connect it to the trucks sound system, but apparently, our trucks bluetooth depends on some BT profile or something that only phones have for bt connectivity. I had a couple cheap Pyle wireless headsets I bought off amazon a while back for a project on my last truck that never panned out. Figured the kids could listen to the movie while the adults talked or listened to the radio, but these headsets are IR wireless, so line of site to the transmitter, which meant I had to put it up where it showed, and even then, it was really full of static, so no go there. Guess I'll just stick to the quiet movie sounds for now. - Replaced fogs with Morimoto LED fogs. 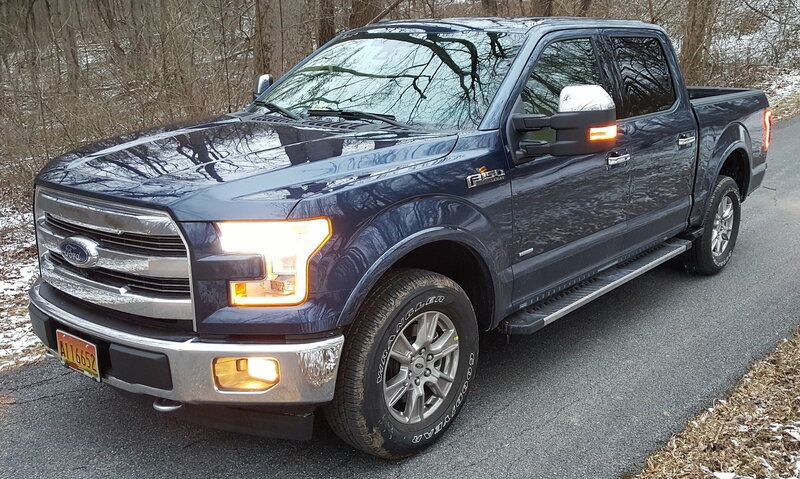 - Replaced the chrome fixed running boards with AMP retractable running boards. Added 2" leveling spacers up front. 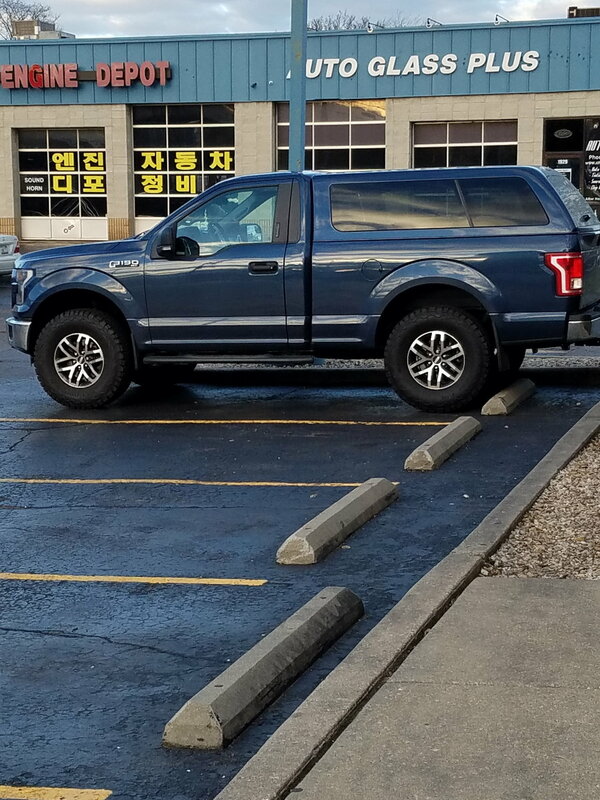 After leveling, I measured from the top of the center cap to the lip of the wheel wells, and everything was level *except* the back right was ~3/4" lower for some reason, even after driving for a few days to let anything settle. I tried measuring it parked in a number of places, checked that I didn't have anything heavy in the bed, etc, and the best measure I got still had it 1/4"-1/2" low... Also, even though it was level on the other side, after being used to the rake, the back just looked kind of like it was squatting, and I didn't want it to squat so much when I had a trailer on. So... I replaced the rear blocks with 2.5" blocks from Halolift, which gave me about 3/4" to 1" of rake, just enough to look "right" to me and made the low corner not really noticeable. Now, of course, the tires look too small . I like the stock rims, though, so I'm looking at something ~34" like 295/70r18. 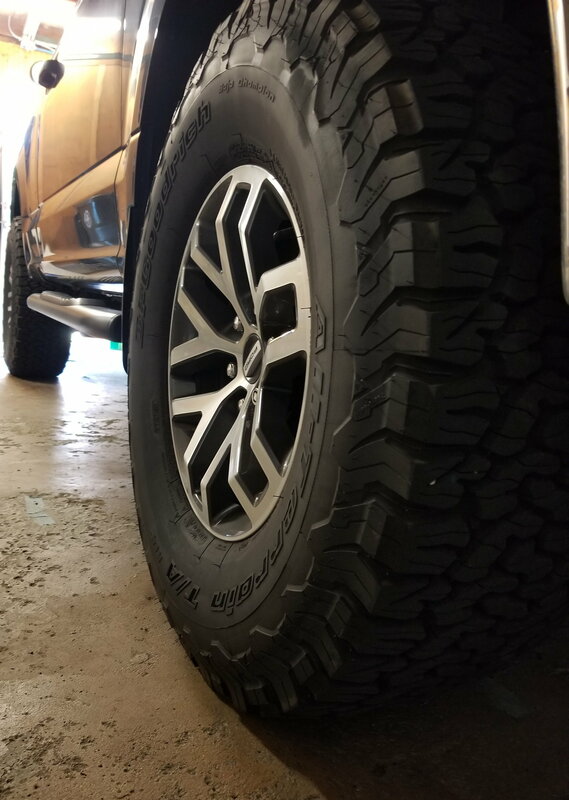 I like the BFG KO2's but they don't come in that size. 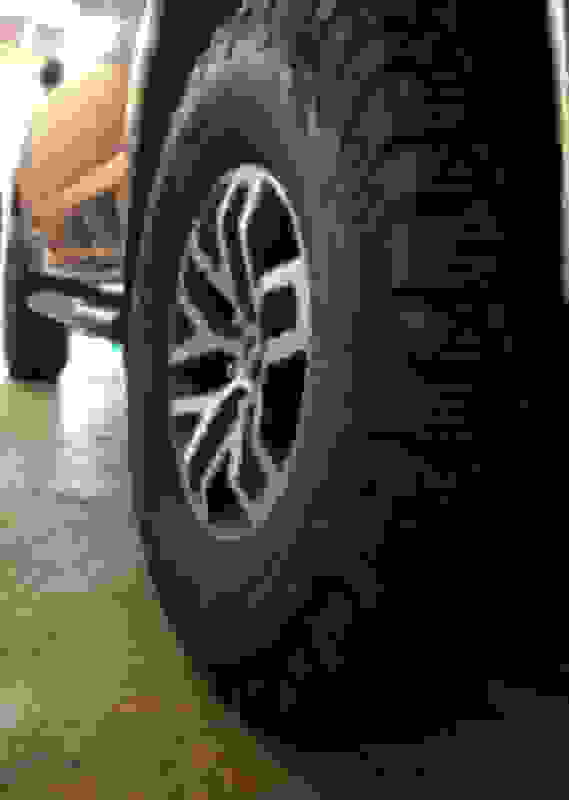 Was looking at the Michelin Defenders, but while they are excellent street tires, they're kind of boring looking. I'm leaning toward the Yokohama Geolandar G015 now, but I'll probably change my mind 10 more times before I finally pull the trigger. I just added raptor takeoffs and they seem to be a good fit. They come stock with 34s. The tires are C rated and it rides great! Last edited by Dave; 05-22-2017 at 09:58 PM.